Many visitors to Turkey will head straight for the beautiful city of Istanbul or the resort towns of the Turquoise Coast. Although both have their obvious merits, I think there is so much else to see when it comes to exploring Turkey’s history and culture, especially if you’ve already done the main tourist attractions and are looking for a more in-depth visit. Heritage architecture is everywhere from ancient Roman cities to antique Ottoman towns. Here are four destinations that simply have to be on your travel itinerary if you are keen to uncover Turkey’s hidden treasures. Second only to Pompeii when it comes to ancient Mediterranean cities, Ephesus is one of the most popular destinations in Turkey and offers insight into classical Greco-Roman life. The ancient cityscape includes a well-preserved theatre, temple and grand library that once held thousands of scrolls. If you’ve ever wanted to explore first century BC life, then this is one of the best opportunities you’ll get. 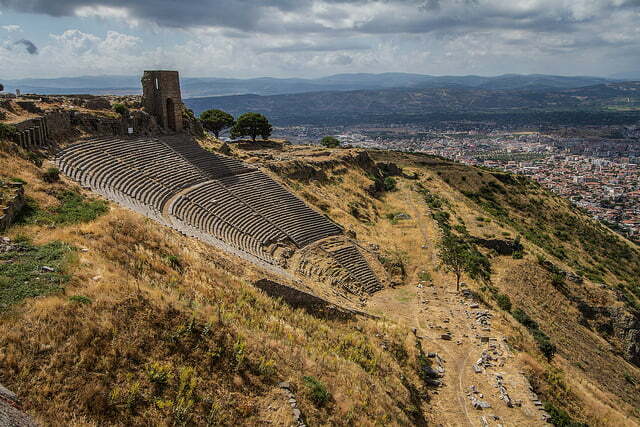 Pergamon may now be an ancient city in ruins but in my opinion, this only serves to make it all the more atmospheric. It was one of the key Roman cities of Anatolia and the well-preserved remains hint at the grand spectacle that the city was during its glory days. Head to the nearby town of Bergama in the North Aegean region where you can find accommodation to stay overnight, and explore this region at your own pace. A visit should not be rushed. Sitting on the edge of ancient Mesopotamia, the sandstone buildings of old Mardin, crowd the hillside, prompting all visitors to wonder about the history of the region. Still a thriving Turkish city, Mardin is located on the historic Silk Road and is surrounded by mountains, making it one of the most enigmatic sights in Turkey. Definitely one for your bucket-list! Another town that seems frozen in time with its collection of timber framed, whitewashed houses dating from Ottoman rule. 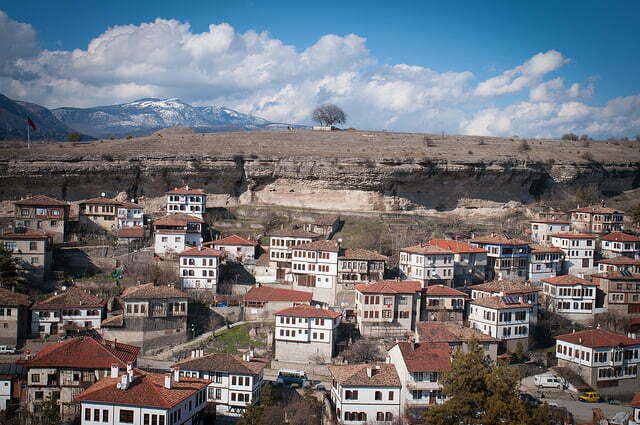 Located in the Black Sea region of Turkey, Safranbolu is reachable by bus from Istanbul and Ankara. When you’re done exploring, you might want to head east to the town of Kastamonu, often described as a living museum due to its crumbling Ottoman mansions and traditional markets. It’s getting easier than ever to visit historic towns and cities all over Turkey, as you can now find cheap city breaks here with a number of no-frills airlines. Whether you fly to Istanbul or Ankara there are good bus links to all of the places listed in this post. Readers Question: Have you visited a historic Turkish town or city that you think should be on my list? Article by Lisa Pavin, who is a writer in her free time and has travelled extensively around Turkey. She currently lives in England and expands her travel career through regular trips to mainland Europe. These four are all great places. 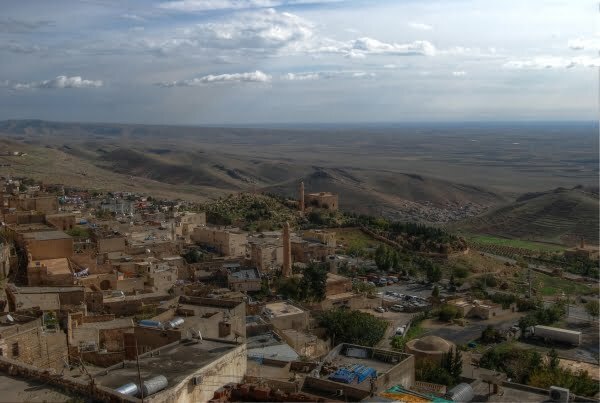 My favorite is Mardin…it’s just so different than the rest. Beautiful photos! Thanks for sharing some great tips for Turkey. I would definitely love to visit Turkey one day so i will add these on to my thinking about places to visit.